Is there a better alternative to iColors? Is iColors really the best app in Author Tools category? Will iColors work good on macOS 10.13.4? iColors is a simple application for Mac OS X to convert colors to and from the hexadecimal standard. 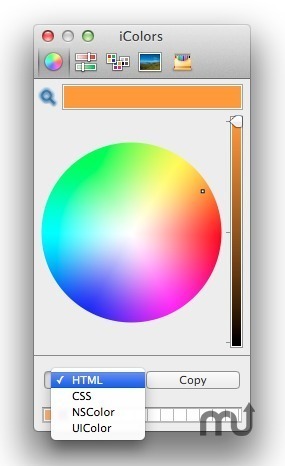 It allows the user to find a color for his or her Web page without using a typical color chart (most of which don't have a full range of colors). It also allow the user to save colors for future use. iColors needs a rating. Be the first to rate this app and get the discussion started!